Nothing is sacred with extremist Muslims, including their own religious heritage. Back in April hardline Ansar Dine took over the northern region of Mali promising to turn the country into an Islamic state. UNESCO was extremely worried at the time about what might happen to Timbuktu and its ancient architectural wonders, so it placed the world heritage site on an endangered list. Those worries, apparently, were totally founded. Little did they know that by doing so, they would prompt the Islamists to destroy what UNESCO was trying to protect. They started off with the tombs of various Muslim saints, and have threatened to destroy all the other religious shrines in the ancient city. “They have raped Timbuktu today. It is a crime,” said a source close to a local imam in the town known as the “City of 333 Saints”. “This is tragic news for us all,” Alissandra Cummins, chair of UNESCO’s executive committee, said in a statement to AFP in Russia, where the body is meeting this week, describing the attacks as “wanton damage”. Why? Because the supremely ignorant thugs are pissed off that UNESCO put Timbuktu on the endangered list. What? One would think they'd be elated that a Western organization would be interested in saving the 'seat of Islamic learning', but no. Sadly, they aren't the first to destroy a world heritage treasure in Timbuktu, al-Qaeda had already destroyed the tomb of Sidi Mahmoud in May. Ansar Dine just finished off the mausoleum. “As I am speaking to you, Islamists from Ansar Dine have destroyed the mausoleum of saint Sidi Mahmoud,” one witness told AFP. Home to three mosques, 16 cemeteries and mausolea and 100,000 manuscripts, a piece of ancient history could be wiped out in no time. Islamists have destroyed other ancient monuments, like the Buddhas of Bamiyan in Afghanistan, but one would think they would want to preserve their own religious treasures. Countries that might try to intervene have been warned not to get involved. It doesn't take much to warrant the death penalty in Iran. You can be executed for anything from being a political dissident to being gay to drinking alcohol. Yes, in Iran, you can lose your life for drinking one too many beers, one too many times. In a 'three strikes and you're out' type of law offenders are sentenced to death, and two people are currently facing that punishment. Human Rights Watch (HRW) is trying to get Iran to end death for drinking and for "crimes that are not considered serious and exceptional under treaties that bind it," but the Iranian government isn't about to listen to some human rights organization, or anyone else for that matter. They'll continue to pop off anyone they have a problem with, including those who consume alcohol. According to HRW the prosecutor said the two “had consumed alcoholic drinks for the third time” and that authorities were prepping for the “ the implementation of the execution order." “Sentencing Iranians to death for consuming alcohol is a scary signal of how little Iran’s judges value Iranian lives and how casually they can make a decision to end them. Iran’s courts apparently have nothing better to do than harass and even kill Iranians for engaging in dubious ‘crimes.'" hadd offense, or a crime against God, and receives specific punishment under Islamic law. Usually, a person caught drinking alcohol gets 80 lashes, according to Human Rights Watch. But an article in the Iranian penal code stipulates that persons will be sentenced to death on their third conviction. If alcohol violators repent following conviction of the "crime" based on their own confessions, a court is allowed to seek clemency from the nation's supreme leader or his representatives. But if a conviction was based on witness testimony, clemency is not applicable. Despite the prospect of severe punishment, alarmed Iranian officials warn that alcohol use is increasing. Earlier this month, Deputy Health Minister Alireza Mesdaghinia reportedly bemoaned "abnormal behaviors such as alcohol consumption" apparently being on the rise. Also this month, Iranian newspapers said that the amount of confiscated booze had gone up by 69% just in the last year. Is it any wonder there's a problem with alcohol in a country that is so repressive and oppressive? Obamacare's much disputed individual mandate is now a tax rather than a fine, which is what it was to begin with, in spite of Obama's protestations to the contrary. My colleagues are delighted, though most would actually prefer a single-payer health care plan. Our cousins up north discuss the whole "tax" versus fine issue on Sun News. Here's an interesting take on Chief Justice Robert's decision to uphold the bulk of Obamacare by Independent Journal Review's Bert Atkinson, Jr.
And he did this without creating a civil war or having bricks thrown threw his windshield. Oh, and he’ll be home in time for dinner. On second thought, this decision might just be what Romney needs to seal the deal. More wackiness from Iran, but this time not from Mahmoud but from Vice President Mohammad Reza Rahimi who blamed the world's illegal drug problem on Zionists. According to the UN’s most recent report on drug use, somewhere between 3 and 6 percent of the global adult population uses illicit drugs. That’s a lot of people -- hundreds of millions. Although countless amounts of money have been spent countering illegal drug production and trafficking, and millions more spent on treatment and research into addiction, the motivating factors behind addiction may be far more simple -- The Talmud. In a speech at an antidrug conference in Tehran on June 25, Iranian Vice President Mohammad Reza Rahimi posited his theory that “Zionists” -- particularly those who follow Talmudic teachings -- are in control of the illegal drug trade. He went so far as to offer money to any member of the audience who could “research and find one single Zionist who is an addict.” According to Rahimi, there is no such thing as a Zionist drug addict, thus proving his point. Interestingly, the UN report shows that Israel actually has relatively high rates of illicit drug use (not all Israelis are Zionists, of course) when compared to the rest of the world. More than 8 percent of the adult population uses marijuana, more than 1 percent uses amphetamines, and from 0.5 to 1 percent uses opiates and ecstasy. Israeli drug use aside, Iran stands on one of the front lines of the global drug trade. According to Narconon International, an estimated 140 metric tons of finished heroin crosses the Iranian border with Afghanistan annually on its way to Europe. Most of it makes it through, as only about 30 metric tons are seized by authorities. To boot, the UN’s antidrug representative to Iran had -- literally minutes before Rahimi’s speech -- praised Iran’s cooperation in combating the global drug trade. Just a week before the conference, Iranian state media quoted Brigadier General Ali Moayedi -- the country’s top antinarcotics officer -- as saying Iran has “shown practically to the world that we can stop drug trafficking and we are ready to share our experience.” Apparently, vice president Rahimi didn’t get the memo. This supposed “Zionist plot” is the latest in what has been a common theme from the regime in Tehran. Other such plots include (but are certainly not limited to): the swine flu, the “Harry Potter” series, the London Olympic logo, and the Norway massacre. It's always easier to blame someone else for a problem you are in denial about. And why not the Zionists. Iran, of course, is in denial about pretty much everything it finds sketchy, including its gay population which doesn't exist according to Mahmoud Ahmadinejad. According to various polls, the majority of the American people did not want Obamacare, at least in its present incarnation, and yet we just got the majority of Obama's health care law (including the "individual mandate") shoved down our throats by the SCOTUS. "The United States Supreme Court has ruled to uphold the Patient Protection and Affordable Care Act by extending the power of the United States Congress to tax Americans' behavior. This is a sad day for Americans, as they will be taxed to pay for benefits they may not need or want as part of the insurance they are forced to buy. With this decision, Congress has been granted infinite taxation power, and there are no longer any limits on what the federal government can tax its citizens to do. The Patient Protection and Affordable Care Act will hit the middle class especially hard, as hundreds of thousands of jobs will be lost as businesses try to avoid the penalties and costs created by the healthcare law. The healthcare law will cost trillions of dollars, raise costs for employers and create huge incentives for them to drop health insurance. Benjamin Franklin did indeed state, 'In this world, nothing can be said to be certain, except death and taxes.' However, Dr. Franklin never envisioned the federal government would use its power of taxation to punish people for not purchasing health care. Today, individual sovereignty in America has been defeated." It is indeed a very sad day. I honestly did not think this would happen. Here's a list of what passed. Good luck to those who are going to be forced to purchase insurance or be fined. Here's the latest brutality from the Taliban using one of the favorite methods of execution the Muslim world. Taliban militants have released a video that they say shows the heads of 17 Pakistani soldiers captured in a cross-border raid from Afghanistan and beheaded. The beheading reportedly took place on June 24. The video displayed 17 heads placed on a bloody white sheet, while several masked men stood behind holding weapons they said were captured from the soldiers. The Pakistani military said previously that 13 troops were killed on the cross-border overnight raid on June 24 into the country's northwest Upper Dir region, and seven of them were beheaded. Four others were reported missing at the time. They also managed to kill Fahimur Rehman, one of the major anti-Taliban militia leaders, and 3 others in the restive Northwestern region of Pakistan. Anyone who thinks the Taliban are willing to live in peace is deluded. Some Christian protestors (including Ruben Israel of officialstreetpreachers.com) at the Dearborn Arab Festival 2012 get pelted with water bottles, eggs and even stones (mostly by young kids), and the police stand by and do nothing. The Christians eventually are threatened by the police with citations and/or arrest and are escorted out of the area. Whether you believe or not that the Christian's were being provocative simply by standing there with their signs, it was their right to do so; and the vicious overreaction by the Muslim kids is not really very surprising given their penchant for anger. Towards the end, someone on the video tells the police that by forcing the Christians to leave they are rewarding riotous behaviour, and in doing so they're teaching the crowd that all they have to do is riot and they'll get whatever they want. And that's exactly what they are doing. Not a great precedent to set. Muslim cleric Abid Hussain is on trial (along with two of his sons Nawab and Bahaud Uddin) for threatening to kill Rabiyah Abid, the 16-year-old daughter/sister after she refused to marry her first cousin. You might think this happened in Pakistan but, though Pakistanis, they all happen to live in Manchester, England. Mr Hussain, a dad-of-five, is alleged to have grabbed her by the throat and said, ‘follow my rules or I’ll kill you’, before hitting her on the head at the family home above the mosque he runs at Northmoor Road, Longsight, Manchester. Mr Hussain, who denies assault, is on trial alongside two of his sons, Nawab Uddin, 23, and Bahaud Uddin, 21. The two young men are alleged to have robbed their sister of the mobile phone she used to contact the boyfriend they disapproved of and to have beaten her until she was dizzy. They deny assault and robbery. Opening the case, Henry Blackshaw, prosecuting, told the jury that the girl lived in a ‘very male dominated, patriarchal household’ where she was ‘exhausted’ by cooking and cleaning. She had been ‘betrothed’ by her father to his sister’s son in Pakistan at just 15 years old, but ended up falling for a student she had met online months later. In November last year, while her father was celebrating Eid in Pakistan, the student travelled from London to Oldham to stay with a pal and the girl left her home to stay with him. This prompted her brother, Nawab, to report her missing. When police traced her, she told them of her fears that she would be forced to marry when she had finished her GCSEs. When her father returned from Pakistan, he learned that she had stayed with her secret boyfriend, and to add ‘insult to injury’, was served with Forced Marriage Prevention Order that officers had helped her obtain. Mr Blackshaw said Mr Hussain saw the order, which led to the girl’s passport being taken by the authorities, was a ‘combination of her and the UK judicial system depriving him of his right to choose her husband within his own family’. Weeks later, on December 26, he is alleged to have attacked her. In the aftermath of the incident, she sent a message to her boyfriend saying ‘I thought I was going to die last night’. Two days later her brothers, Nawab and Bahaud, allegedly took her phone from her and struck her about the face and head, leading her to wear a veil to hide her injuries. The next day she reported them to police. This is the problem when people fail to assimilate- they hold on to traditional values that have no place in their new homeland. Arranged marriages are not a cultural norm or duty in the West, and certainly not marriage to one's first cousin. I'm glad England is buckling down, and that the girl had to courage to contact the police. This is actually an Afghan burqa and Saudi women wear niqabs. It's still sad, but funny. Because Muslim men are allowed to beat their wives. No wonder he wanted Muslim Brotherhood's Mohammed Mursi. Why are Arab men so angry?! I think they should all be forced to take some anger managment classes. An Egyptian plumber in Alexandria beat his pregnant wife to death upon learning that she had not voted for Muslim Brotherhood presidential candidate Mohammed Mursi, reported the Egyptian daily al-Wafd on Sunday. According to police reports, the initial argument between the couple who was not named escalated into violence, despite her pleas. Battered and bruised, she was reported to have died at the hospital from injuries sustained. Domestic fights have dominated Egyptian news headlines when the bid fell on the two most feared and most controversial candidates, Mursi and former prime minister Ahmed Shafiq. Voters, along with Egyptian media personalities, heatedly defended their chosen candidates and eagerly await the result which will be announced Sunday. "He did it so that she would never be able to kiss again and said 'I'll get four years, but you're getting a life sentence'." Now that definitely sounds like an honor attack, but it wasn't until I started reading the comments that a picture started to emerge, and along with references to the researcher being Iranian my suspicions were confirmed. So I googled and lo and behold, it turns out said 'Swedish' researcher is an Iranian man who believed his young trophy wife was having an affair so he felt obliged to save his honor by injuring her for life. "It was honour related. He doesn't seem to regret a thing. He believes she insulted him,” a source with information about the matter told the paper. The assault was so brutal that the prosecutor tried to have him charged for an attempted murder. The court, however, sought to reduce the charge to aggravated assault. Ingela Hessius Ekman, who is representing the victim, claimed that her client might have suffered irreparable damage. “She has very serious injuries, doctors cannot yet determine whether she can be healed or not,” she told Aftonbladet. “She's in a lot of pain,” Ekman said. Ekman informed that the trial is due to commence at the beginning of July. The man, who is from Iran, was doing post-Doctoral research at the Karolinska institute in 2010. “It is, of course, a very tragic story,” said Bengt Norrving, the institute's director. “But since the researcher in question is not an employee of Karolinska Institutet we are unable to consider legal action,” he added. Four to ten years for a man who cannibalized his wife's lip? For real? This man should be locked up in a mental institute for the rest of his life. But it's interesting to note that the Swedish "The Local" didn't have the balls to mention it was an Iranian man or that it was an honor attack, and Jezebel didn't bother to research it further. Egypt's liberal and secular political parties claim the U.S. administration endorsed Mursi and his Muslim Brotherhood in the recent Egyptian presidential election. Is that at all surprising? Egyptian secular and liberal parties sounded dissatisfaction over the reported support of the US for Muslim Brotherhood's presidential candidate, Mohamed Mursi, but affirmed they would accept the results of the elections due to be announced Sunday. During a press conference Saturday, representatives of the Free Egyptians Party, the Democratic Front Party, the Revolution Continues Coalition, the Tagammu Party and the Kifaya Movement opened fire on the Brotherhood, voicing suspicion over the group's sudden change of stance towards the Supreme Council of the Armed Forces (SCAF). The conference came after the Brotherhood announced Friday its concessions to revolutionary movements, guaranteeing their representation in both the government-to-be and the Constituent Assembly, in order to form a unified front against SCAF's alleged attempt to hold onto power. The speakers, mostly parliamentarians, condemned the current scene in Tahrir Square, where tens of thousands of Islamists together with other revolutionary movements are staging a sit-in against SCAF's addendum to the March 2011 Constitutional Declaration, which gives the military council unprecedented authorities, and against the dissolution of parliament's lower house, the People's Assembly, describing the scene as "the monopolisation of the revolution." "Those who are now attacking SCAF were the first to embrace an alliance with them," said Ahmed Said, a member and co-founder of the Free Egyptians Party, confirming that liberal parties have refused military rule since day one. Said further blamed the current "dilemma" on the Brotherhood approved Constitutional Declaration announced by SCAF on 30 March 2011, that put elections before the drafting of a new constitution. Speaking also at the press conference was politician and co-founder of the Democratic Front Party Osama Ghazali Harb who attacked the Muslim Brotherhood's attempt to gather people in Tahrir Square, describing it as "a behaviour that only reflects their fear and an attempt to manipulate the election result by force." Ghazali Harb recently announced his support for Ahmed Shafiq in the elections second round run-off. Several speakers at the press conference further condemned what they believe to be US intervention in Egypt's domestic affairs. Harb claimed the US was pressuring SCAF to hand over power to the Muslim Brotherhood. "We refuse that the reason someone wins is because he is backed by the Americans," said Harb demanding that the Brotherhood should refuse US intervention. 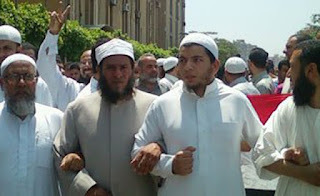 "The revolution will continue until we break free of military rule," added parliamentarian Mustafa El-Gendy. Founder of the Kifaya Movement, George Ishak, however, expressed his optimism over the coming period, adding that "a third political current, neither affiliated with religious groups nor the military, will pave its way." Ishak claimed that an appeal against the Constituent Assembly will be looked at Tuesday, underlining the need to form a "real" constituent assembly that will replace the current "disappointing" Constitutional Declaration and write a constitution that "truly represents Egypt's identity." And this is what the Egyptian women are in for. Egyptian Cleric Mahmoud Al-Masri tells women they should cover up and never leave home, just like the black-eyed virgins in Paradise. I assume he means one of those 72 that every Muslim martyr gets through death in jihad. "Do you favor executive privilege or should Karl Rove and others in that like position be forced to testify before the House or Senate?" Well, you know, I think we’ll — we’ll determine over the next several weeks how this administration responds to the very appropriate call by Patrick Leahy, the chairman of the Judiciary Committee, to have these individuals come in and testify. You know, there’s been a tendency on the part of this administration to — to try to hide behind executive privilege every time there’s something a little shaky that’s taking place. And I think, you know, the administration would be best served by coming clean on this. There doesn’t seem to be any national security issues involved with the U.S. attorney question. There doesn’t seem to be any justification for not offering up some clear, plausible rationale for why these — these U.S. attorneys were targeted when, by all assessments, they were doing an outstanding job. I think the American people deserve to know what was going on there. Well Mr. President, to put it in your words: why are you hiding behind executive privilege on the very "shaky" and illegal ATF "Operation Fast and Furious" probe? I think your administration would be best served by coming clean on this. I think the American people deserve to know what was going on there. If you had nothing to hide, why not release those documents?! Liberal Adults Bully Kids Singing "God Bless The USA"
Showing their true colors a bunch of liberals actually bullied a group of young kids who had rallied to protest against the decision of Edna Cohen school principal Greta Hawkin's decision to ban the song at their graduation. Hawkin's is the woman who claimed Lee Greenwood's song "God Bless The USA" was not age appropriate while Justin Bieber's song "Baby" was. She also believed "God Bless The USA" aka "Proud To Be An American" might offend other cultures. She later nixed the Bieb's song as well, but only after universal condemnation. Parents of the mostly immigrant school kids who are proud to be Americans were outraged and asked Republican Senator Bob Turner to join them at an anti-Bieber protest where the kids would sing Lee Greenwood's song. This is what ensues. Adults bullying kids and telling them they'll burn in hell. They should be ashamed of themselves! “Excuse me sir, can you let the kids sing please?” Mr. Turner’s staffer interjected. At least Tajikistan is doing something right. The Sunni Muslim-majority (albeit secular) country is trying to educate its women about those bogus Islamic temporary marriages so popular in Iran. The ones used to legitimize sleeping around. Approved and legal in Iran, it's not legal in Tajikistan and the Mosques are trying to warn women about the inherent problems- like they have no legal rights to anything once that temporary marriage contract is over. It's a relatively recent phenomena, and becoming more prevalent. Recently, at a gathering following Friday Prayers on June 8, prominent Dushanbe Imam Eshon Abdul-Basir Saidov warned women against entering into temporary marriages, which religious leaders say have become a trend in Dushanbe over the past two or three years. Echoing concerns voiced by his fellow imams, Saidov says dozens of Tajik women have fallen victim to "Iranian-style temporary marriage," known as mut'a. Fairly widespread, and legally approved in predominantly Shia Iran, mut'a is a fixed-term marriage in Shi'a Islam which automatically dissolves upon the completion of a term agreed upon by both parties prior to the marriage. Mut'a is not recognized by Sunni Islam, which is followed by the majority of Tajik Muslims. Nevertheless, says Zurafo Rahmoni, the head of the Culture Department of Tajikistan's Islamic Revival Party, "nowadays we increasingly hear about Tajik women entering into mut'a matrimony with Iranian citizens living here." Tajikistan has a sizeable Iranian community, the majority of which reside in Dushanbe and other major cities. "These women are ultimately being left with no rights or protection both during and after their so-called marriages," Rahmoni says. "In all cases, the men eventually leave the country, leaving their temporary wives behind. The most painful part is that sometimes children are born into such unions." Rahmoni blames the trend on the "dire" economic situation that prevails in Tajikistan. "Many Tajik men have left the country for migrant work," he says. "There are foreign men coming to work in Tajikistan, and that's why the [mut'a] practice is on the rise in Tajikistan. Social and economic hardship are contributing factor to the rise of this phenomenon in recent years." Imams have gone so far as to call it 'legalized prostitution', "un-Islamic" "contradictory to Tajik religious beliefs and traditions." "Mut'a is an attempt to legalize prostitution," says Imam Saidov. "It shouldn't be recognized as a religious matrimony, and we consider it a sin." In his Friday sermon, religious leader Saidov said Tajik women's "naivety and lack of awareness of their religious and civil rights" was to blame for their falling victim to temporary marriages. Since these women are unfamiliar with temporary marriages, they are ignorant participants. For Maya, a 25-year-old hairdresser from Dushanbe, her temporary marriage was initially "love at first sight" with a man from a foreign culture. Maya, who declined to give her full name, said she met her former partner -- an Iranian businessman -- a year ago in a city restaurant popular with well-to-do foreigners. A marriage proposal came "surprisingly swiftly," and Maya accepted. She says the religious marriage ceremony was conducted by a friend of the groom, with two others attending as witnesses. "He mentioned something about short-term marriages, but I didn't quite understand it, I thought he was just being cautious," Maya admits. "But he left six months later. I live with my baby daughter. I don't get any support from him, financial or moral." The women are being told to register those marriages with the secular authorities, and to sign a prenuptial agreement. That's pretty darn progressive or a Muslim country. In addition to not recognizing religious marriages in any form, they also ban polygamy, SMS-text message divorces, and underage marriages. In fact, they want to raise the legal age to marry (for women) to 22. Currently, the legal age to marry is 18. Besides the ongoing massacre in Syria, here are the latest stories of Muslim violence- all on the front page of Al Arabiya today. Iraq suicide bomber kills 15 Shiites and wounds 40. 3 falsely accused Ahwazi Arab minority brothers were executed in Iran. Suicide bombings (and riots) kill at least 45 in Nigeria. Blast in Afghan town kill 6. Suicide bomb kills general, wounds 4 in South Yemen. We all know how nasty liberals can get, but what they are doing to conservative bloggers is beyond the pale. Bloggers are being targeted by those who obviously have no respect for freedom of speech through what is being called "SWAT-ing" attacks. What these reprobates do is spoof the phone number of an individual (in this case conservative bloggers/commentators), they then phone 911 with information about a crime, and off go the SWAT teams weapons in tow. Several bloggers have been SWAT-ed, but CNN contributor and Editor-In-Chief of redstate.com Erick Erickson's 'call' was unconscionable. The caller told 911 that 'he' had killed 'his wife' and was about to kill some more. You can hear the 911 call below, but FOX news gets the victim wrong- they claim it was Patrick Fry of Patterico's Pontifications , but Fry explains it was actually Erickson; although he too has been a target of SWAT-ing. Apparently this very dangerous tactic has been going on for many years, but the recent attacks on conservatives is possibly related to blogging about Brett Kimberlin and Neal Rauhauser, neither of which I know much about, other than that Kimberlin was the infamous 1978 'speedway bomber', and Rauhauser is Brett's associate. Patterico has a slew of posts regarding these two unsavory leftists. At least, Georgia Republican Senator Saxby Chambliss (and 85 others) want this investigated. This is another reason why I blog anonymously. Here's the CNN news clip about Erick Erickson's incident. What every jihad bride needs to know to prepare for that joyous day. Most in-laws of couples in inter-faith marriages get along. But religion can be very divisive, and not all families are so understanding. The most drastic thing I've heard is a son or daughter being disowned by his/her family for marrying someone of a different religion; or the daughter or son-in-law being terribly mistreated. Not nice, but it happens, and everyone suffers. But Ramesh, a 24-year-old Indian man (Hindu, I assume) didn't fare so well when he married a Muslim girl. Muslim girl's brother so hated that Ramesh married his Muslim sister that he (and some of his buddies) hacked Ramesh to pieces. Ramesh, a goods carrier operator based here, had some months ago married the girl belonging to Idalakudi though her family had opposed it. On June 14, two persons had engaged Ramesh's vehicle and taken him to Idalakudi where a seven-member gang including the brother of his wife attacked him with iron rods, police said adding he succumbed to injuries at a hospital yesterday. As the news about his death spread, a group indulged in stone throwing at some localities in the area while some people blocked road traffic protesting the violence. Police rushed to the spot and dispersed both the groups. Six hundred police personnel had been deployed in the affected areas. Besides additional reinforcements had been rushed from Rajapalayam and Palani, police said. Shops in Idalakudi and Ilangadai areas remained closed. Police said they have arrested two persons and were looking for five others. The situation was tense but under control in the area. In Islam, if you don't like someone (or something) you cover them up, hide them, or kill them. Just wanted to wish all of you daddies out there, a wonderful Father's Day!! I am so blessed to still have my lovely old pops around. Here's a little something for those who don't have that blessing. Peshawar's version of GQ magazine. 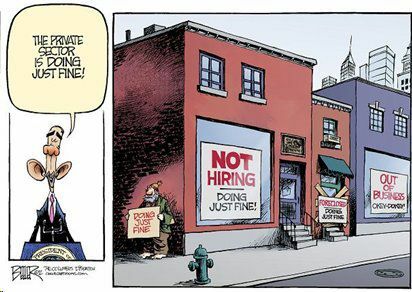 Although Obama and his liberal henchmen are claiming that Barack's "the private sector is doing fine" comment was taken out of context, or at least people misinterpreted the 'spirit of the remark" as David Axelrod put it, the private sector is not doing fine. And you would think he would have learned from his mistake, but here he is at a campaign stop in Ohio comparing our economy and unemployment rate to that of Europe's. According to B.O. we are doing far better than our European cousins, and the economy started growing 6 months after he took office and has continued to grow the past 3 years. I don't know what planet he lives on, but it isn't this one. As I have oft mentioned, the past 3 years have been abysmal for me, and millions of other Americans. Indonesian Atheist Jailed For "Inciting religious hatred"
The 30-year-old West Sumatran atheist Alexander Aan, who was beaten up and jailed for writing "God doesn't exist" and posting Mohammad cartoons on his Facebook group page Ateis Minang, and was facing a maximum of 5 years in jail, has finally been been sentenced. “..deliberately spreading information inciting religious hatred and animosity." “Under the Electronic Information and Transactions law, we sentence him to prison for a length of two years and six months." Initially, he was also charged with two other 'crimes'- blasphemy and "persuading others to embrace atheism"- which could have netted him those 5 years. However, those charges were dropped, and prosecutors didn't get the 3 1/2 years they wanted. Ironically, although not surprising, those who have attacked (and sometimes killed) Christians and Ahmadis (Muslim minority sect) have received far lighter sentences than Aan. As I mentioned in my other post, Indonesia's freedom of religion is bogus. These people need to get a life. According to the recent Pew Research's Global Attitudes Project, a whopping 92% of the French people want to see Barack Obama back in the White House for another four years. In fact, more Europeans want him back than Americans do, at least if polls are any indication. So, the vast majority of France wants B.O. reelected, followed closely by the Germans with 89%. 73% of the Brits, 71% of Spaniards, 69% of Italians and 67% of the Czech Republic population are also still enamored by Obama, in spite of major disappointment in his policies. I guess their favorite rock star can be forgiven his major inadequacies, since they don't directly effect them. Of the 20 nations surveyed, however, there are countries who do not want to see him back. I'm sure you can guess which ones. 76% of Egyptians said no, 73% of Jordanians, 62% of Lebanese, and though 49% of Pakistanis said no, only 7% said yes. Then you have 72% of Brazilians, and 66% of Japanese jumping on the 4 more years bandwagon. If the Europeans are so gung-ho on Barack, they can have him. Maybe if they asked nicely, he'd move over there and lead the E.U. They're probably just pleased that Obama has turned this country from a leading nation into a secondary one. Misery loves company, as they say. Forced abortions are still happening in China, because of their one-child policy. This poor seven months pregnant woman was beaten up and then forced to abort because she didn't have enough money to pay the fine for having a second child. And they plopped the almost full-term fetus next to its mother? Heartless and criminal. A human rights group has learned that a woman was forcibly aborted at seven months of pregnancy on June 3 in Shanxi Province, China. Women’s Rights Without Frontiers informed LifeNews that a new report from the China-based human rights organization 64Tianwang indicates the woman, Feng Jianmei, was beaten and dragged into a vehicle by a group of family planning officials while her husband, Deng Jiyuan, was out working. The officials asked for RMB 40,000 in fines from Feng Jianmei’s family and, when they did not receive the money, they forcibly aborted Feng at seven months, laying the body of her aborted baby next to her in the bed (seen in picture, right). Feng is under medical treatment in Ankang City, Zhenpin County, Zengjia Town, Yupin village. Read the original report (in Chinese) about Feng Jianmei here (warning: additional graphic images). The report comes after global pressure appeared to have stopped Chinese family planning officials in Changsha, Hunan province from following through with a threatened forced abortion on a woman and her unborn baby in the fifth month of pregnancy. Salafists might be doing well in the Middle-East and Africa where they've recently risen to power, but Germany is actively scavenging for these Muslim supremacists in addition to banning one group, with two others being investigated. Hesse, North Rhine-Westphalia, Bavaria, Lower Saxony, Berlin, Hamburg and Schleswig-Holstein. One of the raids was at Salafist preacher Ibrahim Abu Nagie's house in Cologne. Germany is apparently a haven for Muslim extremists with a penchant for violence. In fact, some of the 9/11 terrorists were members of a mosque in Hamburg. As a result, the German government has banned the Islamist group Millatu Ibrahim, which is located in Solingen, in the belief that its members are actively pursuing the creation of an Islamic caliphate. It is also believe that they are attempting to recruit followers, including giving away free Qurans. Nearly every fourth non-German Muslim rejects integration, questions western values and tends to accept violence, according to a study commissioned by the German Interior Ministry and released late Thursday morning. “The Daily Life of Young Muslims in Germany” surveyed Muslims between 14 and 32 who had not become German citizens. It also interviewed several generations of Muslims living in Germany and evaluated television programmes. The survey also showed that among the 14 to 32-year-olds there exists a "subgroup" of religious extremists who hold anti-western views and are reportedly prepared to use violence. This group amounts to about 15 percent of Muslims with German citizenship and about 24 percent for Muslims who are not German. The rapidly increasing trend of Muslims towards religious conservatism is definitely alarming, and I'd be worried too. The Democrats have been sold a bill of goods regarding Obamacare, since the rest of us saw right through it. I can vouch for the lower premium falsehood, since my already exorbitant COBRA premiums were raised about $400.00 a year. Remember 'Obama Girl' Amber Lee Ettinger's "I Have A Crush... On Obama" video back in 2007? Well, this time around she's not so thrilled about Obama- and is not sure who, if anyone, she will vote for. she has been replaced by..... Obama Boy! Yes indeedy, Obama Boy (Justin Brown) is now the one who has a crush on Obama. And it's for real. Love his patriotic doggy, though. If you're there, pick-up already. I put down my Prop 8 sign. Now I'm gonna make you mine. I cannot wait for my soulmate. Barry you're the finest candidate. I can't wait to see you get hard on Romney in debate. Cuz I got crush on Obama. You let us serve openly in the military. I'm so jealous of the first lady. Gay marriage will soon be the norm. It makes me shiny and warm. You support me unlike the right. You're my rainbow colored knight. Stonewall is going to be crazy tonight. I gotta a crush on Obama. Four more fantastic years cuz I got a crush on Obama. Three niqab-clad Saudi women were fined and sent back to Doha after they refused to show their faces to French immigration officials at Paris' Charles de Gaulle airport. Very commendable. Don't mess with immigration officials, especially in a country that has banned face veils. There are immigration checks in place for a reason, and if you don't comply- tough. If they don't lift those veils, how are officials to determine that the person on that passport is the same person underneath that niqab? At least France doesn't have the equivalent to CAIR (Council on American Islamic Relations) over there, so it probably won't be in for a lawsuit. The first EU country to ban the full face veil, France has had around 300 women who have flouted the law since its implementation in 2011. France does, every once in a while, do things right. Joan Rivers considers herself apolitical, but she hates politics and Washington, and she just joined fellow comedian Jon Lovitz in blasting Barack Obama for wanting to tax the rich. And part of the reason her comedy is "apolitical" is because of that hatred of politics. Not that this is the first time she's been critical of Obama. The liberal, last year, told CNS news that Obama should "stop campaigning" and "take care of the f*#ing country!" after being asked if he had lived up to her expectations. Who knows who she will vote for, or whether she will vote at all, but it's quite obvious she is not happy with B.O. According to the vile Westboro Baptist Church wackos, everyone is going to hell: gays, the military, and now even evangelist Billy Graham is headed for the fires of hell. And apparently he'll be joining his wife Ruth who already happens to be there. 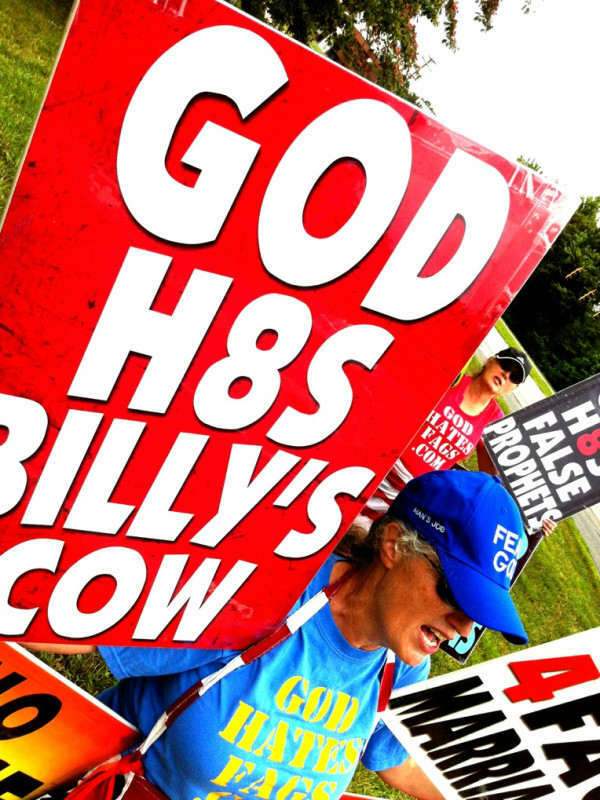 The Westboro creeps are the ones who are always out there picketing funerals, from gays to soldiers, and have threatened celebrities and public figures from Whitney Houston to Joe Paterno to Apple's Steve Jobs. They don't always show up, but the threats are there. The Kansas-based group seems to be deviating from its "God hates fags" message with the attack on Billy Graham, who supported the North Carolina ban on gay marriage. "Watching the moral decline of our country causes me great concern. I believe the home and marriage is the foundation of our society and must be protected." 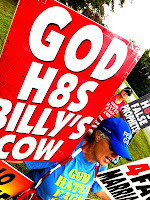 Now they claim God hates Billy's (mechanical) cow. WBC followers were out in front of Billy Graham's library in Charlotte because they believe he is a "lying whore false prophet..." and that he should be preaching "that it's not okay to be a fag, it's not okay to divorce and remarry, it's not okay to fornicate, it's not okay to kill your babies." They also that Graham uses his "substantial resources and influence to not only be silent on issues of importance, but to actually put forth the notion that hell isn't real." "The central message of the Billy Graham Evangelistic Association today is the same message Mr. Graham has faithfully preached for more than 70 years. It's a message of God's love for all people and the hope that only comes through a relationship with Jesus Christ." They also condemn the library for its moneymaking endeavours. "It's not about preaching the gospel of Christ. It's about how much money you can connive the gullible people who come through there into spending," the group asks. "How much will they spend at the snack bar? How many children can you lead to Satan through Bessie the talking cow? How many books can you sell? For shame!" They plan on protesting at other Bill Graham venues including his home. Someone does make a valid point in one of the comments on the article: if we didn't give them publicity, maybe they'd all just go away. Two ice cream vendors in Blackburn, England- Mohammed Mulla (Mr Whippy) and Zeheer Ramzan (Mr Yummy)- battle it out over the same route. Read the story here. 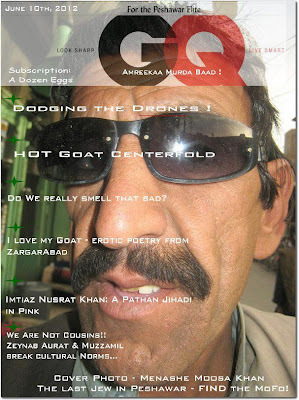 And it was all caught on Mobeen Quizam's cellphone, who then posted it on Youtube. The New York Times is the only major news outlet that has reported on a slew of emails that allegedly prove that Barack Obama and his administration colluded with big pharma to keep drug prices high. Yes, the man who claims to be for the people was so intent on getting his Obamacare passed that he made a deal with pharmaceutical companies to block a plan which would have lowered the price of medicine. The emails written back in 2009, when Obama's presidency was in its infancy, show to what lengths Obama was willing to stoop to get his health care bill passed even though it meant that so many people dependent on western medicine would continue to pay exorbitant prices for certain drugs. House Republicans somehow managed to obtain the emails between the administration and pharma reps, and it appears the negotiations weren't easy. But since we are saddled with Obamacare, it obviously worked out for both parties. Of course, the liberals don't seem to have a problem with the fact that one of their own was wheeling and dealing with major corporate entities, all they care about is that Obamacare passed. They don't seem to care how it passed. And they're all still stupid enough to think it's a good thing. Despite the propaganda by socialists about the alleged superiority of socialist systems over the American healthcare system, it is politicians from socialist countries who seek treatment in the US. Recently, the premier of the Canadian province of Newfoundland flew to Florida for his heart surgery after he discovered that the Canadian system was not good enough for him. Within the US, pharmaceutical firms which sense an opportunity to regularly sell drugs to the government at arbitrarily high prices support the nationalisation of the healthcare sector thus highlighting the fact that socialism and crony-capitalism go hand in hand. Today, the most expensive drugs are those that enjoy government protection and are listed as prescription drugs. It is common for the price of these drugs to dramatically fall by as much as ninety percent when they are recategorized as over-the-counter drugs and face competition in the marketplace. The destruction of the American healthcare system is part of the agenda of the socialists who form a core segment of Obama’s Democratic Party. Western socialists view themselves as the removers of suffering through ruling over others and believe that they bear what Rudyard Kipling described as the “White man’s burden” of civilising the “half-savage races” of the world. Here's the New York Times article. Instead of just ignoring something one might find offensive, the boorish, uncivilized Islamists want it outright banned or destroyed. And of course, their idea of offensive is often offensive in and of itself. An art exhibition/fair- The Printemps des Art Fair- in La Marsa, Tunisia was the latest target of their fanatical extremism. According to Luca Luccatini, the exhibit's director, four works in the exhibition were deemed "offensive to sacred values" by some Salafist oafs (two men, a woman in niqab and a lawyer) who showed up at the venue on Sunday and demanded they be removed. When that didn't work someone broke into the gallery some time between Sunday night and Monday morning and destroyed some of the art works including some paintings (which they slashed) and an art installation which was removed and burned outdoors. A photograph was also apparently destroyed. Luccatini had called the police after the first "aggressive" encounter- which included threats of returning-but that obviously was of no help, since they did, both to protest later that evening and then to destroy the work later on. One of the 'offending' pieces was an art installation called "The Punching Ball" by Faten Gaddes. It's two punching bags, used in boxing, with a photo of a veiled woman and inscribed beneath the picture "I am a Christian woman." An obvious indictment against religious persecution. 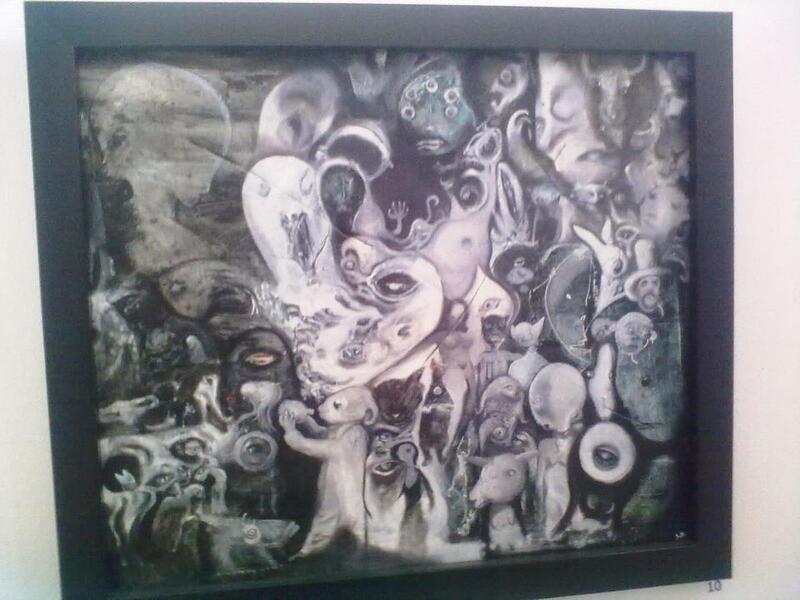 The abstract artwork above- "Divine Creatures"- was also found to be offensive, though no-one seems to know why. It's certainly not very appealing, but other than that, who knows. More than likely it was the title that they took umbrage with, since nothing is divine other than Mohammed and Allah. Or maybe it's the naked woman hidden amidst the mishmash of creatures. A detailed account of the sequence of events can be found in English on Tunisia Live here, and here. In French here. After the initial encounter and before the vandalism occurred, the exhibit coordinators were able to galvanize fellow artists to counter Islamists who showed up in protest, and not surprisingly angry words were exchanged. And there has been criticism from both camps complaining about the other side's provocation. One Salafist, Mohamed Karim, complained about not being allowed to view the whole exhibition. “I wanted to come to see for myself what was happening. I only saw a few pictures. They [supporters of the event] spoke a lot and I didn’t have a chance to see the other ateliers. They tried to provoke me, thank goodness I didn’t react." And why should they let him? More importantly, why would he even want to view something he knows he would be offended by?! Well, I would too if it was my work or the work of my friends and people were threatening to destroy it. Besides the destruction of art work, graffitti was found on the Abdallia Palace walls (where the event took place). Complaints have been filed, but no-one believes anything will happen since even the Culture Ministry, though claiming to support "freedom of creation", condemned some of the work as “all kinds of aggression against sacred values”. But what can one expect from an Islamist-led government. To view some of the works, someone posted a video on a Facebook page. The video has the words “Tomorrow all followers of Islam should rise in anger to defend Islam.” There is also a list of all the artists that participated in the exhibit and photos of some of the supporters. Looks like some of the pieces might have hit a little too close to home, and those people will probably need to watch their backs. As an artist and photographer the thought of anyone's work being destroyed infuriates me. No-one has the right to destroy another person's creative work. How dare they! Bottom line, if you find something offensive turn the channel, turn the page or move on to the next painting. No-one is holding a gun to anyone’s head forcing them to view something they deem unsavory. And they wonder why the West balks. The Palestinians are at it again, teaching their kids to hate. In this case a puppet show held at the Burj Luq-Luq Community Center in East Jerusalem (which happens to be funded by the U.N.) was actively encouraging the kids to put down their cigarettes and take up guns instead. "..the French Consulate, the Swiss Development Agency, the Italian Institutions' Union, the UNFPA, the [PA] Ministry of Youth and Sports, UNICEF and UNESCO." I wonder if they have any clue what they are funding. UPDATE: PC NYC Principal Bans "God Bless The USA"
After months of learning country singer Lee Greenwood's popular "God Bless The USA" (aka "Proud to be an American") the kindergartners at the Coney Island 'Edna Cohen School' were told by their principal they can't sing the song because it might offend other cultures. The song was to be part of their graduation ceremony on June 20, until Greta Hawkins banned it. Ironically, the decision has outraged parents, many of whom are "proud" immigrants and from different cultures. Oh, yes, definitely appropriate for 5 year olds, Ms Hawkins. Hawkins needs to leave her religion and her prejudice at home, it has no place in a public school environment, or anywhere else for that matter. Hawkins has now banned the Bieber, as well. Kuwaiti Yasser Al-Habib, a cleric based out of London (out of necessity, not by choice), has some interesting notions about homosexuals and whores, how they're created and how Shiites are protected from the "disease". It has to do with the devil's finger and worms. His anti-Sunni rhetoric was what made him flee Kuwait. Egyptian butcher physician Ayman al-Zawahiri, al-Qaeda's current head honcho, had one of his four wives (Umaima Hassan) make an on line appeal to the Muslim women of the world: birth them babies, mamas, so we can have an endless supply of suicide bombers. But first of all Umaima commended them for their participation in the Arab Spring. Sure, why not congratulate them, after all the Arab Spring paved the way for an Islamist resurgence, right up al-Qaeda's alley. "I congratulate all females of the world for these blessed revolutions and I salute every mother who sacrificed her loved ones in the revolutions. It is really an Arab Spring and will soon become an Islamic Spring." "I advise you to raise your children in the cult of jihad and martyrdom and to instil in them a love for religion and death. Each woman would raise her child to be a new Saladin (a 12th century Kurdish general who defeated the Crusaders in battle) by telling him 'it is you who will restore the grandeur of the Islamic nation and you will liberate Jerusalem." I'm glad she admits it's a cult. "The veil is the Muslim woman's identity and the West wants to remove this identity so she will be without an identity." Zawahiri, who was second in command, took over al-Qaeda's leadership after Osama Bin Laden was dispatched to meet his maker. I wonder if he's used any of his own kids as suicide bombers. Imagine raising your children to love death, and inspiring them to murder others- all in the name of religion. What a sick, perverse form of child abuse. It's not Umaima's first appeal. Back in 2009 she was recruiting women to fight. I guess they're more valuable as breeding machines. It looks like those wacky Salafi Islamists who preach piety and modesty aren't above getting a little nookie on the side. Not something they should be doing if they're not married. Boys will be boys, Islamist or not. Egyptian Ali Wanis, a cleric and MP for the uber conservative Salafi Al Nour Party, was allegedly found in a compromising situation in a car with his 19-year-old college girlfriend "Nesrine" on a Cairo-Alexandria highway. Apparently they were “engaged in an indecent act,” which means they were probably going at it in the back seat of his car. Naturally, he has denied it. Not that she was with him (since both were arrested), but that nothing untoward happened. He claims she was just sick, and he was wiping her face, and that the police have it in for him after a recent run-in with a police officer. According to Wanis, it's also part of a scheme to discredit him and the Islamist political movement. Right. Sounds a little like the "nose job MP" Anwar al-Balkimi who lied about having plastic surgery, and blamed it on a liberal plot to smear Salafis. According to the police officer, who was patrolling the highway on Thursday night, the MP’s car was parked in a no-parking area on the highway near the Egyptian city of Toukh. On approaching the car, the police officer found Wanis and Nesrine so both were arrested and taken to the police station, where a police report was filed. And, of course, there have been the anti-police, pro-Wanis demonstrations of support. Saudi Arabians are apparently noted for their racism against the mostly Asian slave labor force. Some Pakistani forums, here and here discuss the issue, though several of the comments seem to be the same on both sites. The video shows a Bangladeshi taxi driver being verbally abused roughed up by a Saudi man, who at one point spits at him, forces him to kiss his hands and then his foot. A recent Pat Condell video upload on Saudi Arabia. Always telling it like it is. 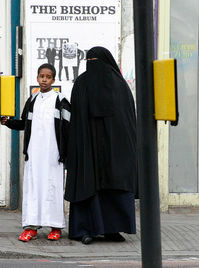 Where I live you don't see burqas, hijabs occasionally but not often. And usually the women who don the head scarves are, laughably, wearing those skin tight, trendy jeans. So much for the whole modesty issue. But Minnesota, apparently, has quite a few burqa-clad women in the Somali community over there, and a bunch of them just walked off their job at Dianne's Fine Desserts in Le Center because of a new burqa ban instituted by new management. And it's not even a total ban, all they want is for the women to wear leggings or pants for safety measures. Apparently, a week after Mike Knowles bought Dianne's, a Somali worker's long flowing burqa got caught in a boot washer. Nothing happened to the woman, but in order to prevent any future mishaps they decided to make some changes to the dress code: no "unconstrained cloth below the knees." Shouldn't be a big deal for the Somali women. After all, wearing pants doesn't show skin, and the pants needn't be skin tight. But no deal. They want to be able to wear their burqas, not pants or leggings under company issued skirts. Shamso Ali is a female Somali Muslim who works at Dianne's factory. She told the Faribault Daily News that as she prepared to begin her shift Monday morning while wearing a burqa, a manager approached her and told her to go change. "I could not believe it was happening," Ali said. "They asked, 'Will you go change your skirt?' I said, 'No, I cannot.' 'Well, then you need to leave,' they said." Ali eventually joined 10 other Somali women and about 20 Somali men in walking off the job. Asher Ali, leader of the Somali Community Center in Faribault, characterized the company-issued skirts as "extremely high, they are way up there... It's like something a model would wear." Dianne's is complying with the U.S. Equal Employment Opportunity Commission's dictates regarding accommodating the religious beliefs and practices of employees by allowing them to continue to wear the veil. All they are asking is for the women to not wear skirts below the knee, for the safety of all involved. And the company has every right to save itself from potential law suits if a worker gets into an accident. Knowles, referring to the burqa-caught-in-boot washer incident, said, "when there's a safety incident like that you can't just ignore it... We addressed the safety issue by saying no skirts below the knee but that workers could wear slacks or pants and tuck them into their boots." "People can't just walk off the job." Which means they might not get to keep those jobs. Let's hope he doesn't cave, because I smell a CAIR lawsuit. 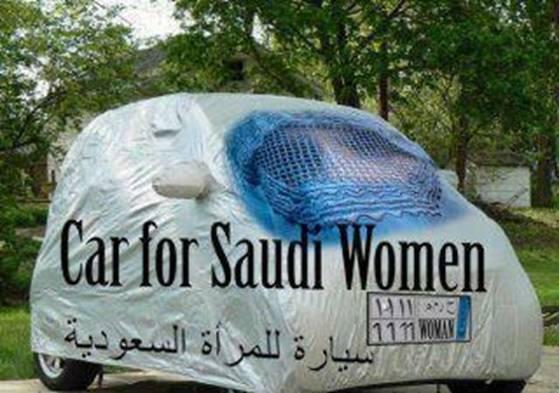 NOTE: They are actually referring to a niqab, not a burqa, since you can actually see their eyes. This is good! The International Olympic Committee (IOC) has told athletes to leave their prejudice and discrimination at home. Although it could refer to anyone, we all know it's aimed at those with the boycott, "I Hate" Israel mentality. Those that notoriously refuse to compete or collaborate with Israelis. And it's not just Arab, Middle Eastern Muslim types that love to boycott Israel. But I'm glad to see the IOC taking a stand. Refusing to compete against a fellow athlete at the London Games because of nationality or religion would be a “serious breach” of the Olympic code of ethics, the IOC said Friday. The International Olympic Committee said athletes and teams should “stay at home” if they are not prepared to compete without discrimination. The IOC comment came after an Algerian kayaker withdrew from a World Cup last month in which an Israeli was entered. Without commenting specifically on that incident, the IOC condemned such a “hypothetical scenario” at the London Olympics. “Refusing to participate in an Olympic event because of a fellow athlete/team’s religion or nationality, would not only be unsporting behavior but a serious breach of the IOC’s code of ethics, the principles of the Olympic Charter and the athletes oath,” IOC spokeswoman Emmanuelle Moreau said in a statement. That's right stay at home. Keep politics and religious hatred out of sports. Scott Walker won his recall election fair and square, and it has the liberal world in an uproar. As a result, the "Kill Scott Walker" tweets started almost immediately. Karlä ♥@MexicanLust69: Scott walker needs fall down the capital stairs and die..
None of my liberal friends seem too outraged about these threats. Haven't seen a peep on Facebook. But I can guarantee you had Walker been a Democrat and the Twitter posts from conservatives, it would have been plastered all over Facebook. According to Twitchy, the Wisconsin DOJ and Police are looking into the death threats, but is that enough? What is wrong with liberals? 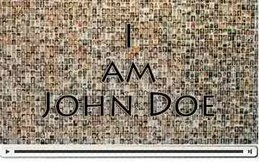 Yes, we have the same types of people on the right, and a few have made death threats, but I don't recall in such numbers, and they were always skewered for their actions. Deservedly so. But what's not okay for the conservatives is perfectly okay for the liberals. But people weren't just pissed at Walker for his win, they were also angry at Barrett for losing. Take that angry liberal who asked Tom Barrett if she could slap him for conceding the race too early. He told her he would rather a hug, but when he leaned over for that hug, she went ahead and slapped him instead. 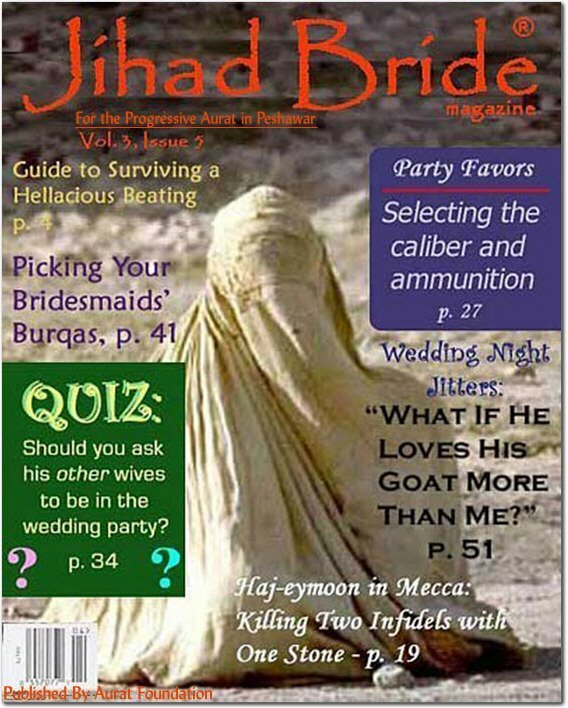 Polygamy in British Muslim Community "Rife"